Note: The alternatives for Sriracha suace are Peri Peri, Tabasco, Sambal, Harrisa, Spicy Mayo or Chilli Sauce. Preheat the oven to 200 degrees C. Line a baking tray with foil and set a wire rack inside. Rinse the chicken and towel dry and set it aside. Combine the rest of the ingredients in a small sauce pan and bring just to a simmer, stirring frequently. Let the sauce cool down. Just before cooking, thickly baste each drumstick with the sauce, leaving enough sauce for a second baste later on. 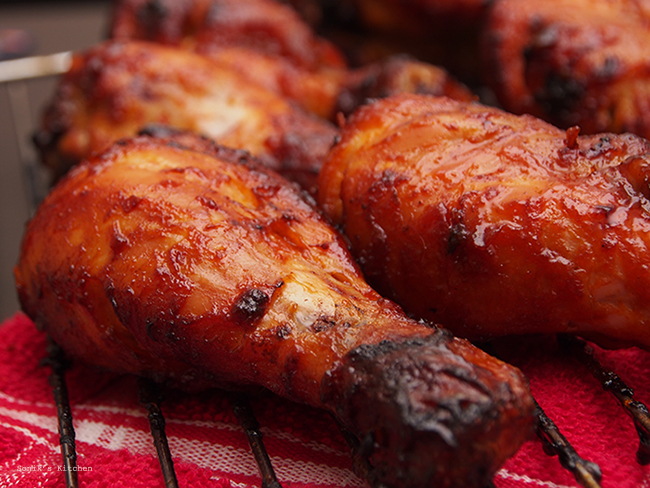 Set the drumsticks on the wire rack and bake them in the middle of the oven for approximately 25 minutes. If it looks like the sauce is starting to burn, move the drumsticks to the bottom third of the oven. 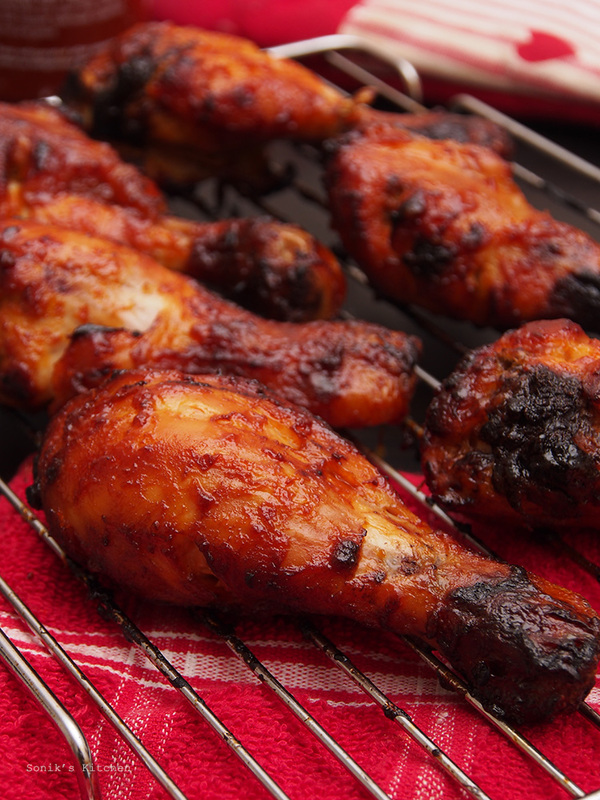 After that 25 minutes, give the drumsticks a second coat of sauce and return them to cook for another 10 minutes. Baste them with the remaining sauce and then cook for another five minutes. The sauce will be sticky and hot, so take care of your fingers and let the drumsticks rest for a few minutes before digging in.